Please read this policy carefully. Your accepting it in full is a condition of your use of our web sites (whether or not you are a member). Your use of our Site is treated as an acceptance of the version of this policy in effect at the time of your use. We may change this policy at any time. Please check it whenever you return to the site. We will treat your continued use of our Christian Games and Crafts web site as acceptance of these changes from their effective date as shown above. We may give both members and nonmembers the option of supplying an e-mail address so we may contact you in the future with e-mail newsletters about new items added to our site, new features, contests and special offers. With your consent, we collect information that personally identifies you or allows us to contact you when you register to use the Site. We collect and store information which you voluntarily provide via forms or otherwise on our web sites, electronic or other communications with us. To start a subscription for Christian Games and Crafts you will need to provide contact information including: your name, a valid e-mail address, home address, phone number and payment details (such as credit card number and expiration date) and set up a user name and password. You may opt-out of providing any such information by simply choosing not to complete the form requesting the information, and hence choosing not to use that particular service. Christian Games and Crafts uses your Personal Information to operate the Site, to effect your transactions initiated at the Site; and to create and share reports about your transactions among themselves. Once logged in, you may correct or update your Personal Information by accessing “My Account” under “Info” on the main menu. You must have Cookies turned ON to be a member at Christian Games and Crafts. Cookies are very small text files placed on your hard drive by a computer server. This file acts as your unique identification card that can only be read by the server that placed it there. Cookies enable you to log in and help us personalize your experience at the Site by permitting our computer server to "remember" who you are. Cookies tell us that you returned to a specific Web page on our Site, and help us track your preferences. With your permission, we may send you information from time to time about Christian Games and Crafts promotional offerings. Your consent may be indicated in the appropriate check boxes when you subscribed or under your “My Account” preferences. 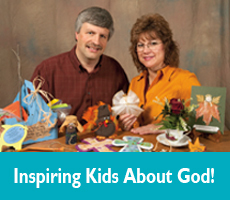 You may be entitled to stop the delivery of promotional information from Christian Games and Crafts by using the UNSUBSCRIBE link provided in all marketing e-mails, updating the preferences in “My Account” on the Site, or by sending an e-mail to info@ChristianGamesandCrafts.com. We take reasonable steps to protect Personal Information and use technology such as SSL encryption, access control procedures, firewalls and physical security. Your browser displays a "lock" to signify that a page is secure. We urge you to use a password to protect your account from unauthorized access by others. If others, including family or household members, access and use the Site through your password, you are responsible for the actions of those individuals. Note that while we strive to protect all our personally identifiable information, we have all heard of data breaches in well-respected financial and governmental institutions and we cannot ever fully guarantee that such breaches will not happen. We will inform you of any material data breaches that we discover that may compromise your personally identifiable information. We may store and disclose Personal Information allowed or required by applicable law or when deemed advisable by us. This means that we may make disclosures that are necessary or advisable to conform to legal and regulatory requirements or processes and to protect the rights, safety and property of Christian Games and Crafts, users of the Site, and the public.